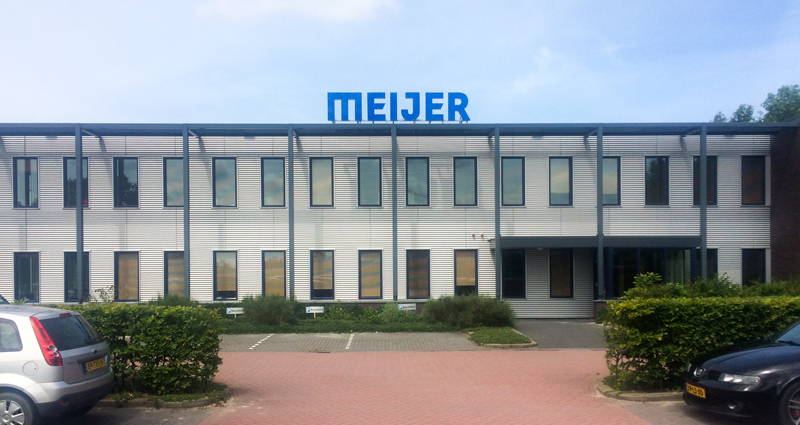 The company European Distribution Centre Roosendaal (EDCR) is going to stock its products upwards. To stay flexible, the company chose for the reachtruck. With this truck the company can stock loads up to 12 meter high. To increase efficiency EDCR is now stocking its pallets double-deep. On a floor area of 2.000 square meter the logistic service provider can put away 4.450 pallets. 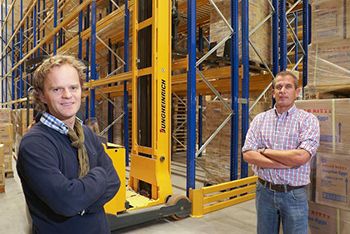 The core of the operation consists of the new Jungheinrich ETV 425 and the matching racks. The 2,5-ton lift-truck provides enough residual capacity to perform the job. Several handy items support the driver and provide more ease of operation. Driver Pierre Kerstens feels at ease riding the new reachtruck. Due to the longer beams and the placement of the pallets on high levels, it is not hard to work at a height of 12 metres. The camera on the fork carrier keeps an eye on things at every altitude. The height chooser brings the fork to the preprogrammed beam height. On the application-specific load chart, which is placed on the inside of the protection shield, the driver can check the data. Through an integrated colour screen the driver can perfectly see whether he places the forks in the right position to put aside or lift the pallet. To use the storage capacity as efficient as possible, the truck is equiped with reachforks. EDCR director Jack Martens: “For us the reachtruck is the most flexible solution”. Source: www.logistiek.nl, logistiek, jaargang 2, nr. 14.